I saw this headline from an r/science thread the other day, and had to look into it. As you’ve probably guessed, the answer is no, but the idea behind it is still a fascinating story. Lots of people experiment with drugs; only some become addicted. Many addicts try to quit; only some succeed without relapse. Why? In a non-addict, the ACC-PFC (blue) usually wins out, telling the “judge” OFC to deny the motion. You don’t take the drug. However, in some vulnerable individuals the NAcc (red) wins out, and every time they take a drug – say, cocaine – it changes this pleasure-sensing, reward-predicting part of your brain, increasing its sensitivity to both the drug and its associated cues. At the same time, it also weakens inhibitory control, which skews the OFC towards a “go” decision. This breakdown of self-control clearly sets up the stage for unrestrained cycles that eventually results in compulsive drug taking. So what if we can use a drug to bring back cognitive control and reset the circuitry? Would that treat addiction? Here’s where Ritalin comes in. Like cocaine, Ritalin (methylphenidate) is a stimulant that increases dopamine level, just at a much slower pace with longer duration. Since there’s no spike in dopamine, there’s no rush. So, just like using the longer-lasting methadone to wean opiate addicts off heroin, it seems reasonable that Ritalin could be a used as a cocaine substitute on the route of recovery. However, Ritalin packs a one-two punch (otherwise it would be a “oh-duh!” story). As a medication for ADHD, one of its major effects is to strengthen cognitive control. It works especially well in this regard in people who have lower baselines of cognitive inhibition to begin with, like drug addicts. Put the two together, and Ritalin seems like the perfect candidate for battling cocaine addiction. Problem is, on the behavioural level, it doesn’t work. Double-blind studies show that users didn’t report lower cravings in response to cocaine-associated cues, nor did they lower their drug use or relapse rates. However, these results are plagued by the curses of small sample size and high dropout rates, so researchers aren’t ready to throw Ritalin out the window just yet. Unfazed, they decided to directly peek into the brain with fMRI, to see if Ritalin has a more profound effect at the neural level. In a 2010 study, researchers recruited 13 cocaine addicts (~18 years use) and 14 controls, stuck them in an fMRI while they completed a task. Here’s how it went: the volunteers were shown two types of words, either neutral or drug-related. All the words were in colour, and they had to press a button corresponding to the colour as fast as they could. Under placebo (blue circle, left graph), the coke-abuser’s ACC (which controls inhibition) showed very low response to drug-related words; when given Ritalin (red circle), the ACC’s response shot up to that higher than controls’ (purple arrow). In a sense, Ritalin re-sensitized the coke addicts’ control center to drug-related cues. In terms of task performance, Ritalin also decreased impulsivity, evidenced by the lower number of errors they made (yellow arrow, right graph) – but the same also happed to healthy controls when given Ritalin. In fact, the addicts didn’t significantly perform worse than the controls, even with ACC hypo-activation. So under the hood, Ritalin seems to be strengthening cognitive control – it’s just not reflected in behaviour. Now in a new study, the researchers wanted to know if Ritalin can change brain connectivity under a resting state. “Resting state” is quite the oxymoron, as the brain never shuts down completely. Instead, it exhibits spontaneous fluctuations in neural activity between brain regions, which also goes awry in cocaine addiction. Researchers recruited 18 volunteers who fit the criteria for cocaine addiction, but were otherwise healthy and not taking any medications. The volunteers when then given either placebo or Ritalin (20mg) and had their brain imaged. Here’re the findings: compared to placebo, Ritalin normalized the strength of 6 connectivity pathways related to emotional regulation, memory formation, craving suppression and inhibitory control. Ritalin had a similar degree of effect on all volunteers, regardless of how severe their cocaine addiction is. In this study, the researchers didn’t check for subjective feelings of craving after Ritalin administration. So what’s the verdict? 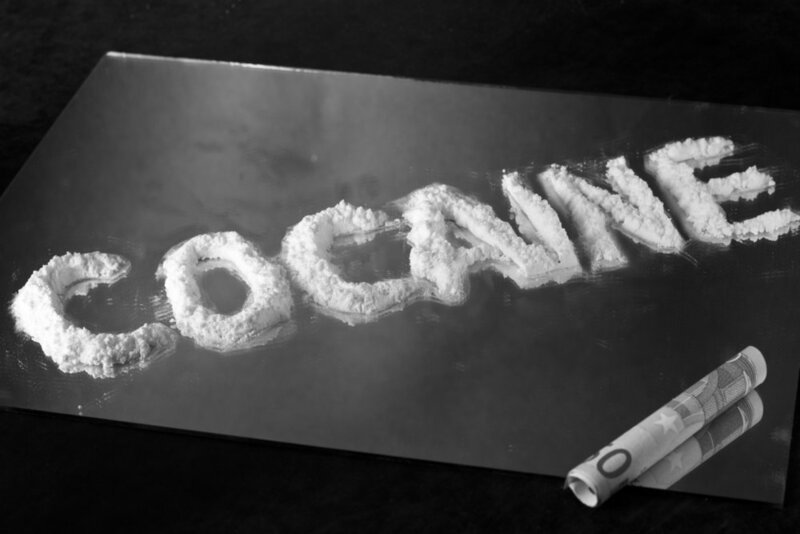 Can Ritalin help cocaine addiction? The evidence really isn’t strong. Nevertheless, it’s interesting that one dose of the “cognitive enhancer” can rectify some of the neural connectivity problems seen in addiction. In all honesty, I would be surprised if one dose of Ritalin can “treat” cocaine addiction, in terms of decreasing craving and drug-seeking. After all, the addiction to drugs of abuse doesn’t happen in a day with one dose either. In future studies, it would be interesting to see if multiple treatments with Ritalin, over a long period of time, can exert a behavioural effect in addition to the neural one. It would also be interesting to test the effects of Ritalin and cognitive-behavioural therapy (CBT), and see if this combo is stronger than CBT alone. The idea of using cognitive enhancers for addiction therapy is gaining steam. Clinical trials with Adderall, Ritalin and Modafinil are all ongoing, and hopefully, larger studies with longer timeframes will give us a more conclusive result. What do you guys think? Are scientists beating a dead horse, or is there actually something worth pursuing?